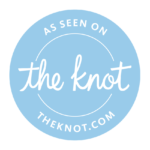 We are so excited to share we have been featured on Beauty & Lifestyle Bride!!! We were part of an amazing collaboration last summer for a beautiful Pin-up Inspired Boudoir Session at the beautiful Madison Beach Hotel, where we had the pleasure of working with an amazing and talented team; Dani Fine Photography, The White Dress by the Shore, Jennie Fresa, Aquinnah Jewelry! Valentines Day and weddings are just around the corner. Boudoir images are the perfect gift if you are looking to surprise your loved one with a beautiful, classic and timeless gift.